In the chimney cleaning industry, managing your customers is easily one of the most important parts of running a successful business. The more late appointments you have, the more likely you are to lose your customers. This can be a serious problem in a competitive industry. Every single customer and every single appointment you make matters. 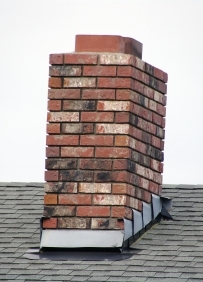 Unfortunately, if you're like most chimney sweep companies, you probably have a messy filing system, several different computer programs that you may or may not use, and separate lists or organizational systems for your employees and your customers. All of these different tools means that you're setting yourself up for the possibility of making mistakes. ServiceCEO's software is all online, on secure servers, which means you also have the ability to access it from anywhere in the world with an internet connection, and you can customize it to work with the sections of the software that you need the most. There is also an easy to use mobile app to help anyone you dispatch keep track of their appointments and get their immediately. Chimney sweeping will always be a competitive industry - one where every moment you save, every customer you impress, and every appointment you make sets you apart from your competitors. Your ability to organize, adapt, and run your business is one of the key strengths that can make you the go-to source for chimney sweeping in your area. That's why you need to try our ServiceCEO chimney cleaning software. See why so many other chimney sweeps and service companies just like yours have decided to change the way they run their business and utilize the ServiceCEO system. Get started with the ServiceCEO system today.